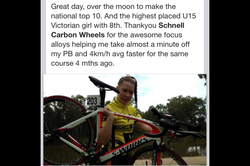 SCHNELL Sponsored Junior athlete Charlette Thompson getting great results on SCHNELL Focus wheels. Keep an eye on this girl. She is going places FAST..! 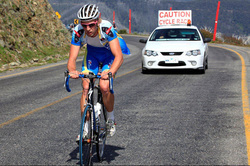 Rider "Bernie Sulzberger" riding on SCHNELL at the Jayco Bay Crits & Tour Downunder.! 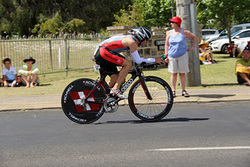 Pro Rider Bernie Sulzberger has chosen to ride on SCHNELL wheels at this years Jayco Bay Crits. Bernie won the sprinters jersey Day 1 then placed , 3rd on Day 2 . Schnell are proud to be associated with Bernie. Well today was the last day of the Bay Crits Bernie was on the podium for the 3rd time and walked away with the "sprinters green jersey". Well done..! 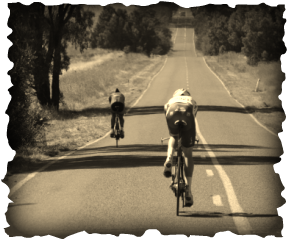 Well done to Xavier Coppock for his second place at Shepparton 70.3. Xavier is an amazing athlete. 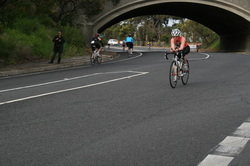 Going Sub 9 in Melbourne Full Ironman with a crazy fast non disc bike split on Schnell Carbon Wheels. Great work X-Man.! We love to help you go Fast! You can read Xaviers Blog here http://xaviercoppock.blogspot.com.au/ It's a great educational honest account. Well done on all that you do Big Fella. We are proud of you here at SCHNELL. 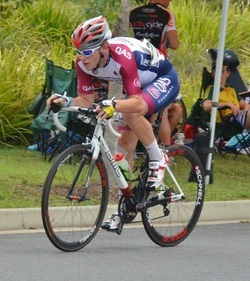 What does Queensland Academy of Sports rider Jesse Kerrison have to say.? TRACK SUPERSTAR APRYL EPPINGER RACES ON SCHNELL BLADES.!. Velodrome in downtown Jakarta Saturday. BRAD WALL WINS I.M W.A AND A KONA SLOT ON SCHNELL WHEELS..! The voice of Cycling "Mr Phil Liggitt" rides on Schnell Carbon Wheels again during the 2012 T.D.U. 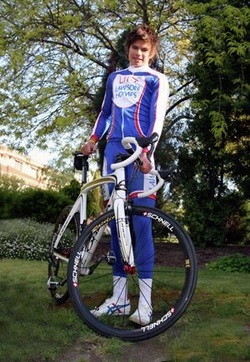 Last year at the Australian Road Championships Phil Liggitt enquired about our wheels. He had seen them at the Bay Crits and noticed some of the riders at the Championships were on Schnell. He rode a set of our wheels during the 2011 T.D.U morning rides and just had to have a set. He continues to ride on them whenever he can and has reported that he loves them. Great work Phil. It was good to see you at the T.D.U again this year and we all love your race calling. Keep up the good work.! A word from Andy Tyack after finishing 2nd in his first ever Full Ironman..! offered the opportunity to ride Schnell Wheels - an opportunity I could not refuse! I was very impressed with the wheels during the 90km ride and they helped to me a 2.11 bike split. What I was most impressed with is how fresh my legs felt after a fast ride and I was able to run a PB half marathon off the bike and finished in an overall time of 4.10.
surface.I used the Racelite 60 on the front and Sniper II Disc on the back which proved to be the optimal wheel choice for me during the 180km. The 60mm front wheel allowed me to control my bike in the windy conditions without the worry of being buffeted.The Sniper II Disc has been developed with vibration cancellation technology (VCT) and with rough road surface on part of the course allowed me to get off the bike feeling fresh.Schnell Carbon Wheels helped me to a 4.46 bike split (2nd fast age group bike split) and an overall time of 9.21 on debut! At both Busselton 70.3 and Ironman WA I got off the bike and was able to run with no fatigue in my legs. The vibration cancellation technology Karl has developed and implemented in the wheels allows for a smooth comfortable ride on any road surface. Simply put, Schnell = Fast! International Tour success for SCHNELL Sponsored rider "Emma Bilston "
the premier junior racing events in Australasia. 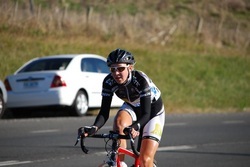 The Stage 4 road race covering 34kms featured one of Emma’s most dominant performances. Emma broke away from the main bunch and used her time trialling abilities to finish one and half minutes in front of her closest rival. She then increased her general classification lead out to 2'20 and it was then that she realised that only disaster in the last 2 stages could stop her taking a yellow Yunca jersey home with her to Australia. 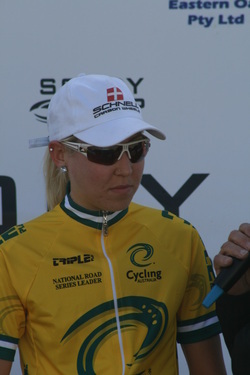 Emma eventually won the yellow jersey and overall general classification by 2’28. Emma also took the ‘Queen of the Mountain’ jersey, the ‘Sprint” jersey and was also awarded the most outstanding rider of the tour to end one of her most successful tours to date. After a day of rest Emma then took to the track in the ILT Track Cycling Festival which was held on the ILT Velodrome over 3 days as part of the Junior Trans-Tasman challenge. Continuing her outstanding form Emma won 6 of her 9 races adding more prize money to her collection. 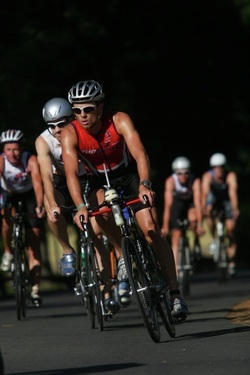 BRAD BULLOCK goes out like a Bullock at a Gate @ Yepoon 70.3 on 14/8/11........! with a 3rd place riding SCHNELL Carbon Wheels.. Well done Brad..! Good luck in Hawaii..! Tyack I'm with you on that one Brad! Schnell Carbon Wheels are awesome! 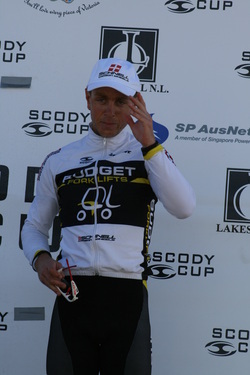 Peter "KILLER" Herzig from Team Budget Forklifts is K.O.M in Tour of Geelong Riding SCHNELL Podiums.! Wow what a Tour it was in the Tour of Geelong. 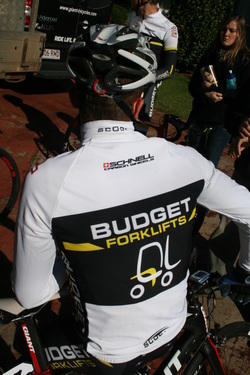 Budget forklifts nearly lost 2 riders on day 1. Ryan MacAnally and Darcy Rosenlund both had bad crashes in the terrible conditions on day 1 in the Crit. Poor Ryan was caught out by another crash in the 1st Rd stage and Bryan Mcleod crashed heavily in the Anakie Rd stage. Luck wasn't on their side this time round. But Peter Herzig pulled out all stops on the Anakie road stage and led for nearly 2 full laps. We couldn't believe it at nearly all K.O.M 1st places Peter was named again, and again, and again over the race radio. Congrats Peter on your well earned KING Status. Grace Sulzberger is leading the Womens N.R.S riding on SCHNELL Carbon Wheels.! 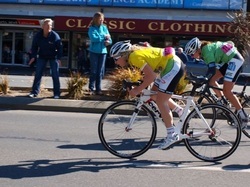 SCHNELL was at the Tour of Geelong to watch and support "Pure Tas T.I.S rider" Grace Sulzberger to another podium. The racing was fast and furious with Emma Lawson Leading out early teaming up with Grace. Grace rode well and managed another Podium and remains the National Road series Leader in Yellow..! Well done Grace. We are glad you are loving racing and Winning on SCHNELL Carbon wheels..! Michael Cupitt "Budget Forklifts" rider gets a 3rd in GC @ Tour of Gippsland N.R.S Race Series riding on SCHNELL Podium wheels. 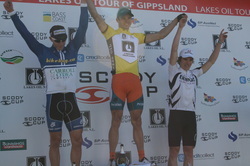 It Was great to see Michael on the Podium in Gippsland after 5 days of hard racing . Budget Forklifts chased the points to put Micheal slightly ahead and receive a well earned 3rd place. Young solo rider Ryan MacAnally Podiums Twice at the Tour of Gippsland Riding SCHNELL for the first time. A young rider from QLD contacted me and was interested to try SCHNELL wheels. 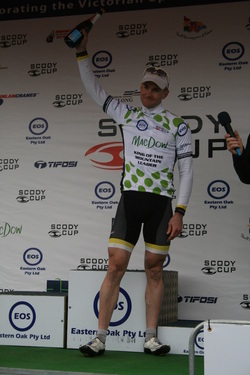 He rode them at the Tour of Gippsland and collected two 3rd places and two 4th places. An amazing result for a young solo rider in the NRS Series against a bunch of Team riders. Well done Ryan.! Bade Stapleton C.E.O of "Connect Sport Australia" is a leading sports and athlete manager and promotional guru. He called me to see what all the fuss was about with SCHNELL Carbon Wheels. Bade Stapleton I ended up drinking a large cup of "Harden Up" and headed out for my ride. Was dry til Frankston and then got soaked through to the bone. Good news is that my new Schnell wheels were awesome! Was out the front all day and they just sliced through the wind beautifully. Great wheels and I'd highly recommend them! Crazy ride on the bike today. Decided it was a good idea to take a few hours off and head down to Two Bays Rd and back. The 60kmph head wind made it feel like I was riding up a mountain all the way home! Thank God for my new Schnell Carbon Wheels to help carve my way through the wind. Thanks for the wheels and the company. werent that stiff, I could still make them flex quite alot also, although nowhere near as bad as the zipps. The Podium 38/50 as selected by "Team Budget Forklifts"
Team Budget Forklifts and Team Zipvit are riding SCHNELL Podium wheels..! Andrew Tyack age group Triathlete gets his best result EVER on SCHNELL Carbon wheels with a 2nd place at Besselton 70.3..! Busselton 70.3 - My best race to date! On Friday Lisa and I went for a short ride out on the course and I also snuck in a quick run. It was then back ot the Expo to help sell some CEEPO bikes! We spent the day there (not ideal pre race prepeartion) with the exception of a short swim the the Eclipse Fitness Squad. We were lucky enough to have CEEPO sponsored athletes Belinda and Justin Granger stop by the tent and leave their bikes on display which was great! and gear tune up and these bad boys where ready to roll! the third Grindelwald Challenge on the West Tamar yesterday. line. In an amazing time of 211.39 Grace came in 5th out of the 19 Man (yes Man) field she was competing in. SCHNELL all the way for Alex Morgan.! 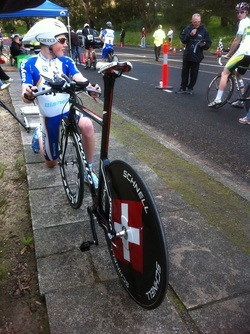 ALEX MORGAN RIDES THE "SCHNELL" SNIPER II DISC TO A NEW TRACK RECORD AT THE KEW BLVD TT.....! SCHNELL has been working closely with many athletes. One such athlete is Alex Morgan. Alex has continued to make SCHNELL his wheel of choice and has chalked up some amazing results riding on SCHNELL Carbon Wheels. 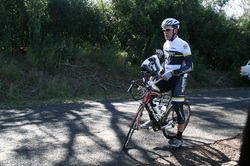 Last weekend 22/5/11 Alex broke the TT record at The Kew Boulevard riding a 29:26 in a 20km undulating TT. Alex is a JM19 and beat Steele Von Hoff who is in the Elite M class. 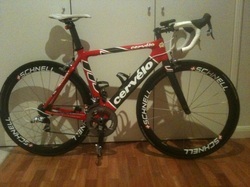 Apart from being an extremely fast wheel the SCHNELL Disc looks awesome on Alex's new bike. SCHNELL=FAST Very Fast....! Alex is now Australian Jr TT Champion.. Well done..! GRACE SULZBERGER RIDES SCHNELL WHEELS TO VICTORY IN THE TOUR OF CANBERRA! Grace Sulzberger wins the Tour of Canberra riding Schnells New Podium 50T. Wow what a race ! After a fast and furious battle Grace Sulzberger hit the front and wins the Tour of Canberra. 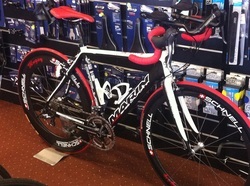 Grace has been trying out some new wheels recently and we have tried her on the Racelite and Podium versions. She loves both of them. Grace reported to us that she loves the way they feel on a climb. We are proud and happy to be working with Grace and look forward to more Podium finishes on the new SCHNELL Podium series wheels. 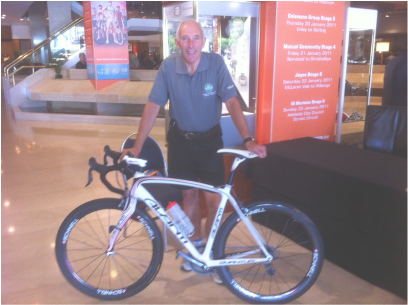 At the recent Tour Downunder we caught up with the "Voice of Cycling" Mr Phil Liggett. Phil was very interested in SCHNELL Carbon wheels after seeing them at the Bay Crits in Geelong and asked if he could have a ride on them. Phil was so impressed that he had to have a set..! Happy riding Phil SCHNELL, SCHNELL..! FROM Martin Z (A.C.T) Reporting on his new SCHNELL Wheels. Used the wheels on Saturday for a nice 160km ride to Goulburn, great trial run as we get a bit of wind around Lake George so it was a great opportunity to learn the extremes I can use the wheels in. Wheels performed amazingly. To date my longest ride has been 120km and I was stuffed afterward whereas on the new wheels I felt I could have easily done another 50+ km’s. Legs felt great the day after so the effort to ride at 30km+ per hour was defiantly reduced. The other thing I noticed was the wheels responsiveness the harder I worked the more I got out of the wheels. It felt at times like the wheels actually responded to me putting more power through them. Wow what a ride at Dookie but you might say why make such a fuss about a third placing. Well Alex rode with a broken wrist and couldn't stand up at all to climb the hills. Imagine what he would have done if he could stand up on the pedals..! Well done Brad ...WOW what a race.! I heard you were very impressed with the SNIPER II Disc and Racelite 60T Combo? Alex was the most impressive rider of the weekend. He rode the SCHNELL Sniper I Disk to the fastest TT time of the event....During all Road stages he rode on the SCHNELL Racelite 38T and Dominated. "A funny thing happened when he went to claim his prize, the officials didn't believe the posted time and needed confirmation by the timing officials that it was correct" Alex rode a faster overall time in stage 2 and 3 than the A Grade Field .! ;-) Fantastic riding Alex you have the makings of a true Champion Good luck over the season. Below's a review of the Schnell wheels I've ridden thus far. 38t: Fantastic for general road racing. They're super light, respond to every accelleration and I love descending/cornering on them. They fly up the climbs, best all round road wheels I've ridden. Sniper 1 Disc: Felt like I was floating on the road! Once I got up to speed that wheel wasn't slowing down anytime soon! 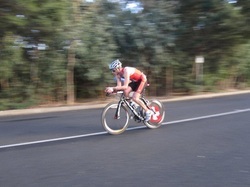 Super stiff out of the seat and saved me that valuable time that won me the A Grade TT at the Tour of Bright. TOUR OF BRIGHT IS ON THIS WEEKEND. Come and see some of the riders which SCHNELL is supporting.! Alex Morgan, Andrew Christie, Jake Klajnblat and others will all be on SCHNELL Carbon Fibre Wheels. Look out for them..! 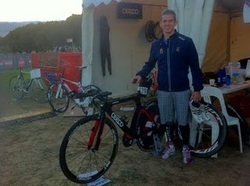 "IRONMAN Brad Bullock" Racing on SCHNELL wheels at Busselton IRONMAN this weekend Dec 5....! GOOD LUCK BRAD...............Go Get Em..! 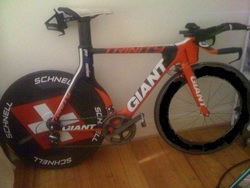 STEF HANSON from www.stefhansontraining.com.au is Racing the Busselton "FULL Ironman" this weekend using a SCHNELL Sniper II Disc Wheel..! Stef is taking every advantage that she can get...! If you want to take advantage of your training approach contact Stef ....! She can get you from Couch-Ironman.! SCHNELL has a variety of riders who have chosen our wheels above all others. One such rider is Alex Morgan. Alex is a V.I.S rider who not only has a very bright future but is a Champion in his own right. He races throughout Australia and has a host of major race wins to his name......Watch this space as SCHNELL works with Alex to help add some more wins this coming race season. GO ALEX..!